For the school holidays, Hawkstone Park in Shropshire will be holiday daily Easter Egg hunts in the caves at Hawkstone Follies. The follies are a picturesque "fantasyland" of cliffs, caves and woods just waiting to be explored. Cuddly Bears from miles around (from as far as Conwy) will be descending on Llangollen Railway for a very special teddy bear's picnic. Take your children and their little cuddly friends for a day of fun and activities. Tickets: Adults £14 and children £7. East Lancashire Railway will be hosting a Thomas the tank engine event for the May Day bank holiday this year. Your entry ticket grants you access to all of the day's attractions including the imagination station (featuring colour, drawing and Thomas film screenings. In addition, there will be magic and puppet shows, as well as taking a ride with Thomas. Next weekend see the Red House Farm play host to the Little Fun Fest on the 5th & 6th April. Hosted by CBeebies presenters, the big-top circus tent comes alive for the two days, with pirate & princess workshops, Harry Potter and Hagrid and fairground rides for the little ones. Tickets are on sale & can only be bought via the below websites. 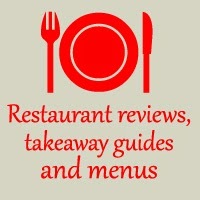 Chester Racecourse opens it's gates to host this year's Food, Drink & Lifestyle Festival on 19th-21st April. This year promises to be a day out for the whole family, as the Academy of Culinary Arts will be on hand to provide a series of free children's cooking classes. These classes are likely to be busy, so booking your place online is advisable. Ticket prices are £6 (booked in advance) with children under 12 entering for free. Easter Holidays are fast approaching, so you'll no doubt be looking for things to do and places to take the children over the holiday period. 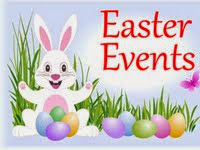 On 19th April, Haydock Park Racecourse will be holding a family fun day with plenty to keep the children amused. - including a mystery mansion ride, inflatable crooked cottage, face-painting and craft workshops. An illusionist will also be on hand to help themdevelop their tricks in a magic workshop whilst the walk-about entertainers will show off their skills. There will, of course, be a full card of horse racing to accompany the fun-day. Good luck! 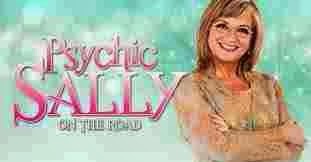 International psychic and star of hit TV show Psychic Sally: On The Road, Sally Morgan returns with her phenomenal interactive stage show. Tickets are available for £23 via the box office on 01270 368242. Cheshire East Council receives £1.25 million boost to repair potholes. Potholes. We all complain about them, but you may be surprised to learn how much money our council spends on repairing them. For example, last week 1553 were fixed taking the YTD total up to 33,505. This comes at a time when the council has received an additional £1.25 million to tackle the issue, after the wettest winter since record began. Report potholes here or phone 0300 123 5020. Today, saw the opening of a new Home Bargains store in Crewe. Opening day was busy, as expected, with long queues for the checkouts as the people of Crewe got to see the latest discount store open for business. Queueing times at the checkouts were 20 minutes in the morning, but quick thinking management were out to offer free sweets to the queuing public! The new store is huge - reportedly the biggest in the country, which could mean closure for the other two branches, both of which are within a mile of the new store. Which shops would you like to see open up in Crewe next? Have your say by posting comments to this post.